Talk about family dysfunction. Just look at the Book of Genesis. Cain murdered his brother. Abraham banished his wife, Hagar and his first born son at the behest his other wife, Sarah. Lot offered his two virgin daughters to appease angry townsmen. Later, his daughters got him drunk, seduced him and bore sons. Jacob and Esau were estranged, but Jacob tricked their father Isaac into leaving him his inheritance — and on it goes. 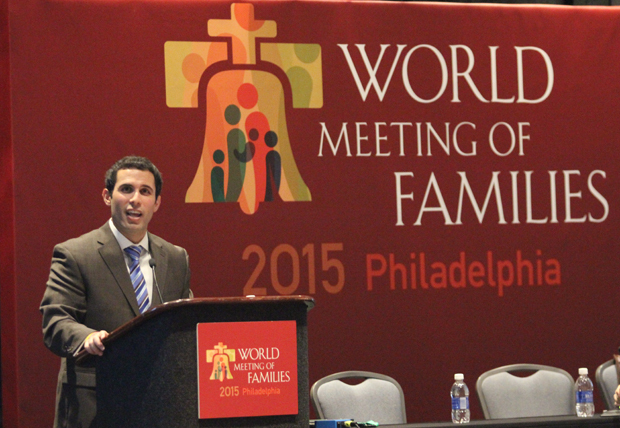 Doctor Daniel Mark, a Villanova professor on sabbatical at Princeton, listed these peccadillos and more near the outset of his talk on “Forgiveness and Family Life” at the World Meeting of Families. In the Jewish tradition, mercy is paramount and forgiveness is part of that. Mark related a story from 2 Samuel. Israel suffered a severe famine, and the Lord told David it was bloodguilt for his predecessor, Saul, who slaughtered many Gibeonite people. David went to the Gibeonite king and asked what Israel could do to atone for Saul’s crime. The king refused any money but demanded he be given seven of Saul’s descendants to be put to death. David complied, and the seven were killed. In the end justice was satisfied but mercy was not. Afterwards it was decreed no Gibeonite could ever be accepted as a convert to Judaism, because as a people they did not know mercy. 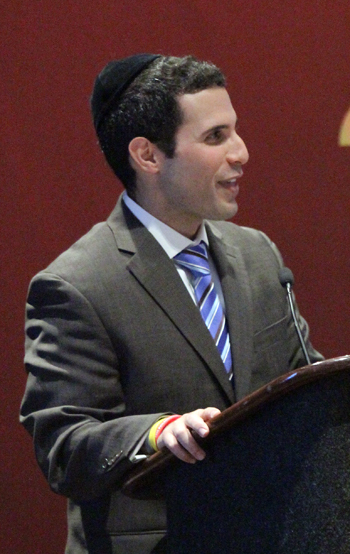 Mark happens to be Jewish and an expert in interfaith matters. His understanding of Christian Scripture was more than equal to presenting a program on forgiveness from a Catholic perspective. One respected pastor in New York, he said, argues this means in a quarrel the husband must take the initiative after an argument. He must say sorry first, not for what he knew she did, but for what he did.